Now that 2008 is just about over, I figured it would be interesting to look back at what's changed in retail during the past year. 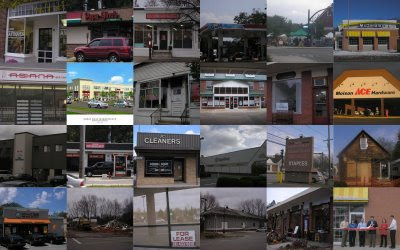 According to my count, Bedford added 12 new stores, 7 stores were renovated, 1 store moved within Bedford and 2 stores closed. I am predicting that the Dunkin' Donuts will be renovated. 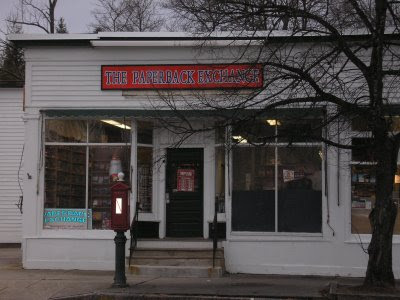 The Paperback Exchange located on the Blake Block at 68 Great Road opened on December 5th. 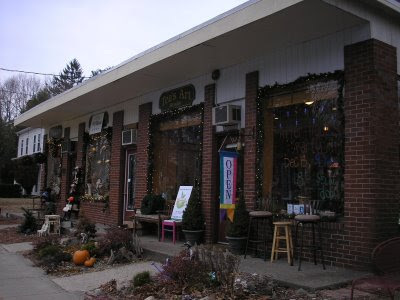 I recently met with Diane Krol, the owner. According to Diane, the store has been around about 2 and 1/2 years, first opening in Burlington and then moving to Billerica. When the lease was recently up, she decided to look for a new location. She thought Bedford was a good choice as there were no similar book stores in the area including Lexington and Concord. 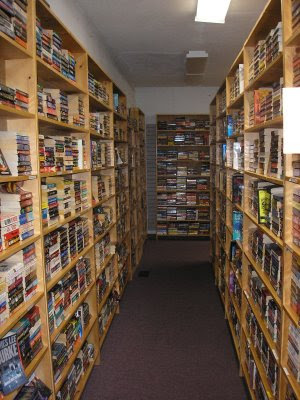 As the name implies, The Paperback Exchange mainly sells used paperback books. They sell used books at 50% off the listed price. They normally stock about 25-30,000 different books. Almost all the used books are fairly new (a few years or less) titles. According to Diane, the most popular category of books they sell are Mystery and Science Fiction. Many different categories of used books are available including Romance, Fiction, Historic Novels as well as a large selection of Paranormal Books. In addition to buying books at the store, you can also exchange your old paperback books for store credit of $1 per book. In order to get the credit, your books must be in good condition and have been published in the last 3 years. Along with used books, The Paperback Exchange also offers a limited selection of new books including books on tape as well as book accessories like book covers and bags. For Children they also stock new books on summer reading lists and fun items for parties such as Singing Ballons. The store is also interested in making contact with the Bedford Schools and Libraries. The store has a special room tailored to Children and Young Adults. The store itself is a family business with Diane and her husband running most of the store with some extra help from time to time. The store is open 11am-4pm on Mondays, 10am-6pm Tuesday through Friday and 10am-5pm on Fridays. 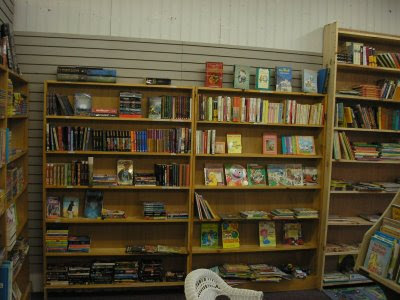 What's interesting is that another used book store, Used Book Superstore just opened on Route 3A in Burlington. However this store is more focused on older hard covers and old computer books. With the opening of the Bedford Historical Society gift shop a few doors down, The Blake Block had been completely filled up in just a few months which is impressive given the current economy. It seems likely the very reasonable rental rates have created a mini "enterprise zone" for retailers in downtown Bedford. 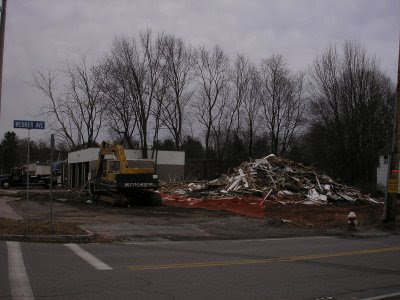 Demolition has begun for the construction of a new building, most likely the new location for the Cambridge Savings Bank. The current branch is across the street in the soon to be renovated shopping center. A Panera Bread is likely to move in to the space being vacated by the bank. As far as the specifics of the new building, that is still being worked on by the Bedford Planning Board. 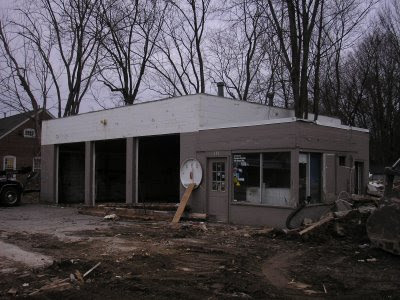 The interior of the old Mobil Gas station has been gutted and the building is ready for demolition. 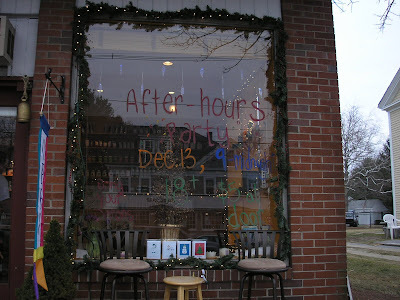 Téa's Art Studio and Tea Bar located at 52 Great Road had it's grand re-opening shortly before Thanksgiving. I recently met with the owner Theresia (aka Téa) O’Connor. Growing up, she always had an interest in Tea and was always intrigued by Tea bars. Five years ago, Téa opened her Art Studio where she drew and displayed her work as an artist. 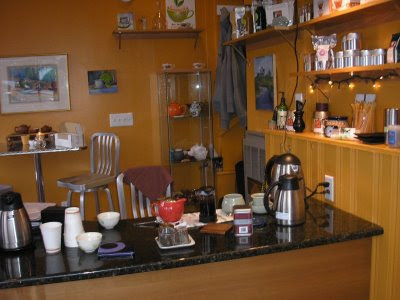 When the Studio roof leaked and the ceiling dropped earlier this year, she decided to not only rebuild and put in a totally new interior but to also add a Tea bar. Her vision was to build a place where people can relax and take a soothing break from the outside world. The Tea bar has teas from all over the world including exotic teas such as Blossoming Tea that starts as a ball but opens up and grows in to a flower after adding boiling water. Téa eschews extolls all the health benefits of the different Teas and recommends the book Healthy Teas which according to the author, discusses the history and healing properties of green tea, the health benefits of black teas, and the life-enhancing attributes of herbal and fruit infusions and decoctions. The Tea Bar features over 150 different flavors of Tea from around the world including China, Turkey and India. Humans have been drinking Tea for 5000 years. Téa is very familiar with all the Teas she sells. 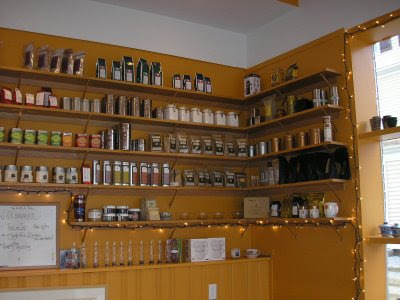 When someone comes in to the Tea Bar, Téa will talk with them to figure out the best Tea to serve them. She encourages people to try unusual and exotic teas. As she serves the Tea, she invites them to sit down, relax and enjoy the paintings. The Tea Counter is where you can sample Teas from around the World. The Tea is provided at no charge. Donations are accepted for serving the Tea. Packages of Tea and Tea accessories such as kettles and infusers are available for purchase. Now that the Studio is open again, Tea has planned a bunch of "after-hours" alcohol free parties on Saturday evenings where she will feature Artists, Musicians, Tarot Readers and more. 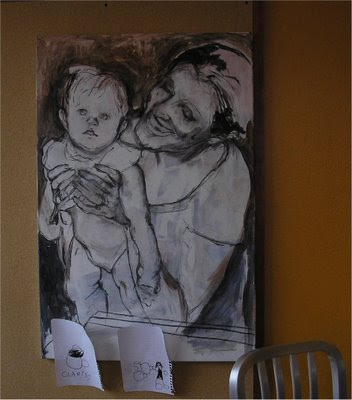 She see's her Studio as a community place where you can meet people and enjoy creativity. She is also looking in to having some self help teachers come in and teach classes during the evenings. The Studio holds artistic parties every few weeks on Saturdays evening. The Studio is also available to rent out for special occasions. In addition to being a Tea expert, Téa is an accomplished artist. She invites people to drop in and watch her work or just engage in some tea conversation. The store is open Monday through Friday from 10am-5:30pm and variable hours during Saturday and Sundays.